Meet the Beatles for Real: Shanghai Surprise! 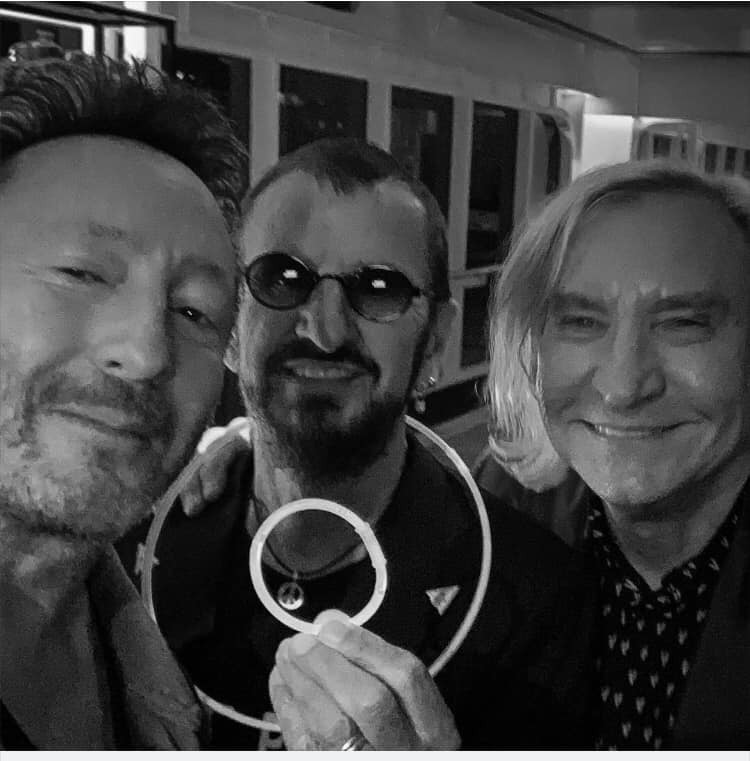 Ringo is in the Far East with the All Starr Band right now. He and bff/brother-in-law Joe Walsh just happen to bump into none other than Julian Lennon while in Shanghai! What are the chances of that? I bet Julian was surprised to see his Uncle Ringo. I don't know what Ringo is on to look the same age as Julian, but there we have it. Good old Julian, he's seen some history, that lad, and made good records too. I bet he tunes into this site sometimes. Is Joe Walsh part of the All Starr Band again. Hope so. Saw them together on the first two All Starr tours back in the day.